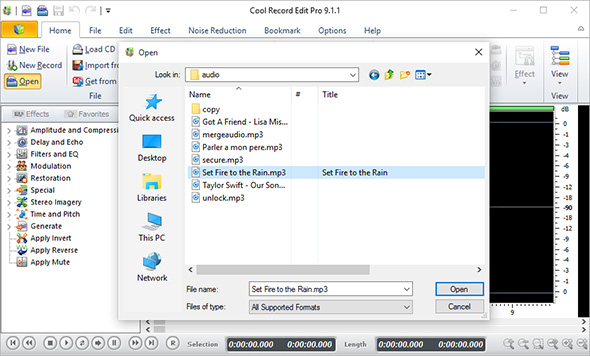 Cool Record Edit Deluxe has a wide range of effects that can be applied to your audio file. Over 20 built-in effects and filters are provided to make your music euphonious and unique. 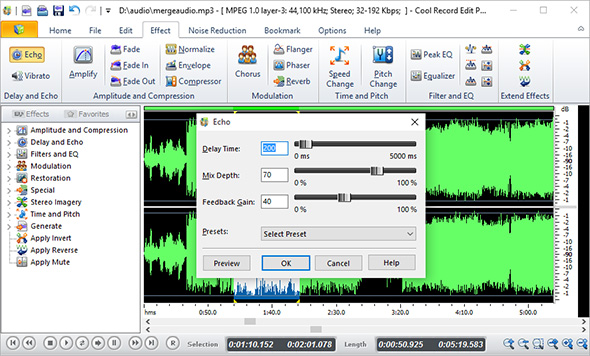 Please read on to see How to Add Audio Effects with this audio editor software. Go to “Effect” tab and there you will find any audio effects you need: echo, vibrato, amplify, fade, chorus, filter and tons of others. 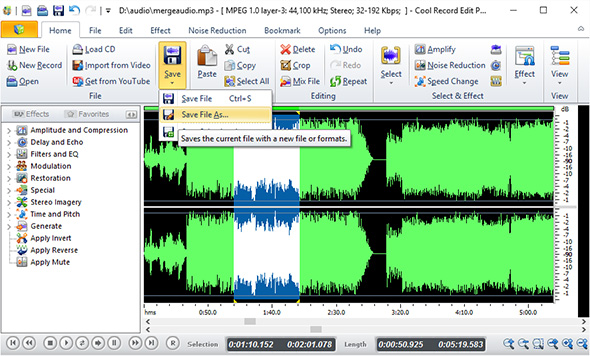 Each effect provides detailed parameters and presets to suit either professional or casual needs. 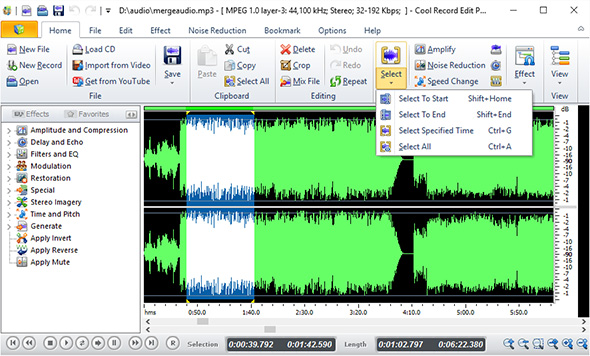 With “Preview” function, you can listen to the effect beforehand so as to make sure whether it is what you want or not.